James Guzman is an American Expat living in San Miguel de Allende, Mexico. He is an expert on how to start a vacation rental business, and specifically, how to start an Airbnb in Mexico and Airbnb as an Expat. James Guzman and Mikkel Thorup talk about short-term rentals when it comes to how to start an Airbnb in Mexico. Are short-term rentals more beneficial than long term? Are the risks different? If you’ve ever considered how to start a vacation rental business, then this is the episode for you. We have all heard about Airbnb and how it has revolutionized the lodging and accommodation world of travel, and you probably know someone that puts their home on this site when they are away on vacation to maybe recoup some of their expenses while they are away. However, have you ever considered renting properties and then turning around and advertising on Airbnb? Did you know that you don’t have to own the property? As long as the landlord is aware of what your plan looks like, there is no reason for them to say no. This and many other ideas are discussed in this fun episode on how to start a vacation rental business. As mentioned, Airbnb has changed the face of short-term rentals forever. How did they get so big? so quickly? and you must be asking yourself, what kind of software do they use and can I use it too? Listen in as James Guzman explains the software they use for efficiency and speed. Is your city safe? Clean? What about the culture? the food? Why do people come to your city? All this and more is discussed! Most of our listeners are aware of our passion here on the Expat Money Show regarding the current state of the education system in North America and the trend towards homeschooling and world schooling. James Guzman and Mikkel Thorup discuss this hot topic. Many of our past guests discuss this same topic, listen in to Ep 37: Zak Slayback or to Ep 43: Sam McRoberts who currently owns and operates his business as an expat and world schools his son. We all know how much Mikkel loves to talk about travel and the experiences learned from each country. Today’s episode was no different. Mikkel and James Guzman chat in detail about Medellin & the country of Colombia. Mikkel spent quite a bit of time there when he first started his travels and speaks kindly about the people, the food and the culture. James Guzman would agree! I really didn’t know much about Airbnb myself, so I learned a great deal from James Guzman. It really is a great business model for those interested in learning how to start a vacation rental business. James has some great insights and totally worth listening in.  I hope you get as much value from this interview with James Guzman as I did… and if you would like to stay up to date with all new content that comes out at The Expat Money Show make sure you sign up for our Newsletter below. Some of my best stuff comes out by email and I don’t want you to miss it!